Amadeus, as a number one global distribution solution provider in the world, it brings unmatched proficiency to travel and tourism industry. They are most specialised in airline travel products and services, which cover various business requirements, unrestrained of their size, market segment or business model. As a unique and ground-breaking product offered by Amadeus is Management Solution (CMS) portfolio, Amadeus Altéa CMS, serves network and regional carriers. The Altéa portfolio, based on a pioneering community platform concept, enables improved operational efficiency and increases revenue. This includes Altéa Reservation, Altéa Inventory and Altéa Departure Control solutions. Low Cost Carriers also have a specific CMS for LCCs – based on adaptive technology and already used by carriers in Europe and the USA – that provides robust options that easily adjust to their evolving operational requirements. Further supplementing these incorporated IT arrangements is the Amadeus e-Travel Airline Suite. More than 70 of the world’s driving aircrafts utilize the Amadeus e-Travel Airline Suite to control more than 250 sites in more than 80 markets. Other standalone IT arrangements incorporate amongst others; Amadeus Revenue Integrity, Amadeus Ticket Changer, a programmed ticket reissue apparatus, and a full scope of ticketing arrangements; including e-ticket interlining and ground-taking care of administration innovation administrations. 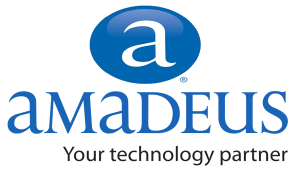 To Learn more about Amadeus Web Services please click here.